Fill It! Don't Spill It! Fill it! Don't spill it! 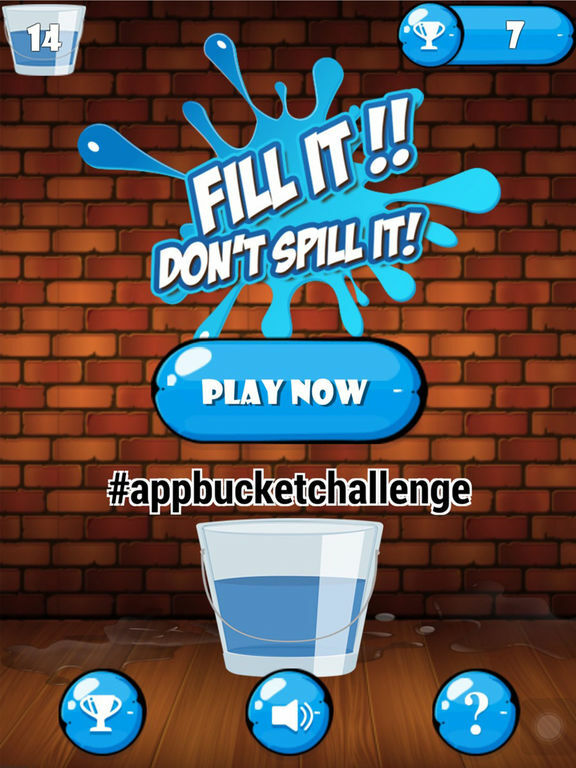 is the new and exciting #Appbucketchallenge game of 2016/17 which helps to raise money for five amazing Charities. You play Fill it! Don't spill it! 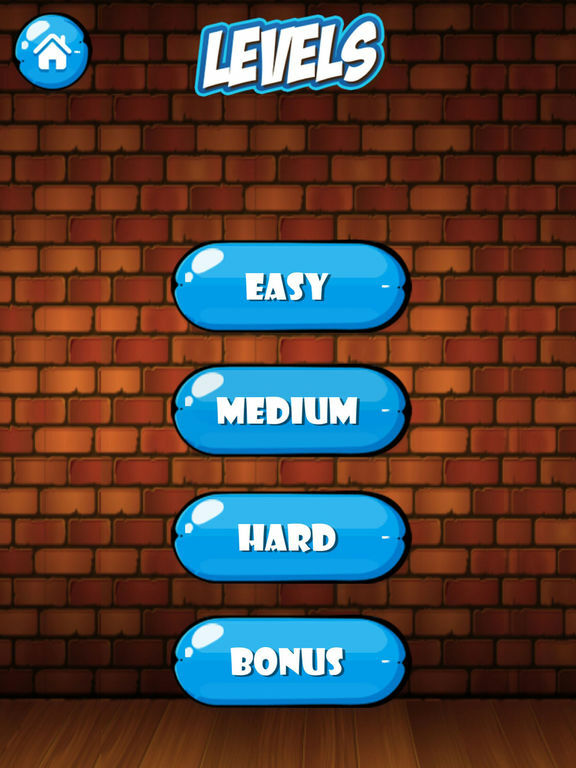 in order to reach a high score. You then post it to social media sites challenging a minimum of 3 people you know to beat your score or donate to our charities via the in game donation button.You can also challenge friends, family and anyone you know. Fill it! Don't spill it! 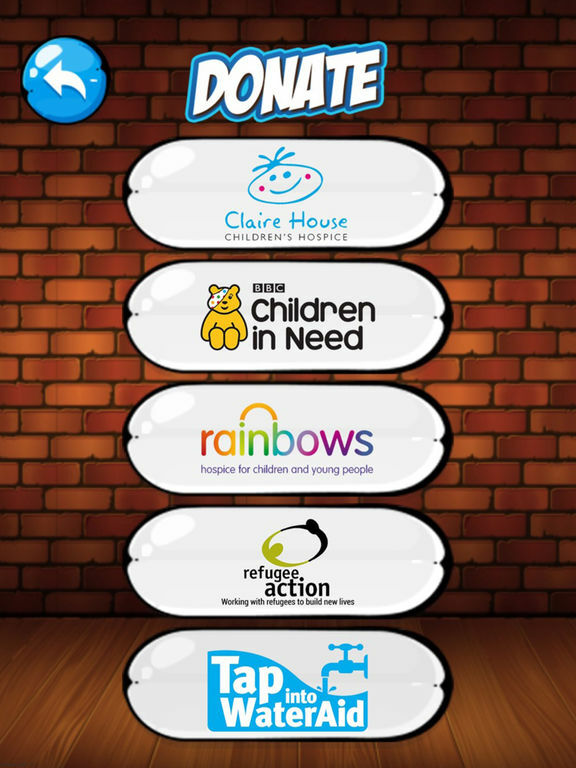 is designed to fund raise for charity in a fun and challenging way. Finally you can also check your result on the leader board to see where you rank. 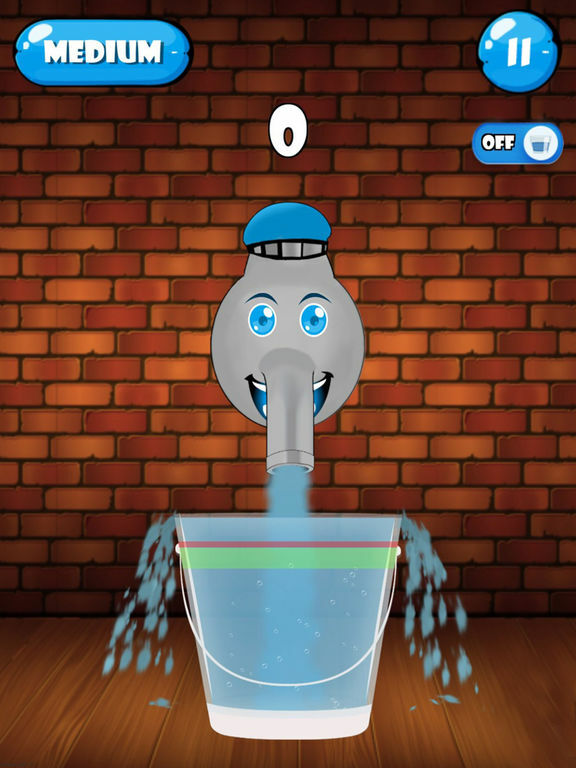 All you have to do is Press and hold the tap to make the water pour, the bucket will start to fill. Then let go of the tap when the water is in the green and red area. Do it correctly and another bucket will appear. Under fill or Over fill and its game over. Seem's easy ? yes, but remember the green and red area changes position on every bucket. Easy, medium and hard all have different size areas where the water must stop.Bonus round is timed seeing how many buckets you can fill in 60 seconds!To make Fill it! Don't spill it! Even more difficult there is a toggle button during game play. Turn it on and off to make the bucket slide with the movement of the device. This way it becomes even more difficult as you have to keep the device straight.